siba 1 week, 5 days ago. TWRP for Umidigi S3 Pro is now available to download from TWRP builder as an unofficial build and this post guides you how to install TWRP on Umidigi S3 Pro and ROOT Umidigi S3 Pro (using TWRP recovery). After installing TWRP recovery on Umidigi S3 Pro you can install many android mods such as google camera (gcam) apk, enable navigation gesture, enable face unlock, viper4android audio enhancement etc. and many more. THIS IS AN UNOFFICIALLY BUILD TWRP FOR Umidigi S3 Pro. FLASH AT YOUR OWN RISK. 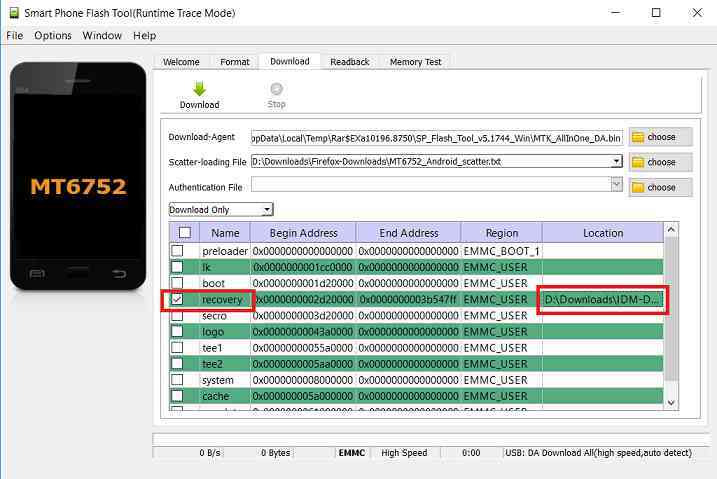 INSTALLING THE TWRP RECOVERY AND ROOT Umidigi S3 Pro NEEDS AN UNLOCK BOOTLOADER ON YOUR PHONE. Before installing TWRP you may require an unlocked bootloader on Umidigi S3 Pro. Installing TWRP on Umidigi S3 Pro requires a scatter file to be created. Extract the scatter file for Umidigi S3 Pro from the TWRP file, which is available in the download link. If you already have a scatter file then there is no need to create it. 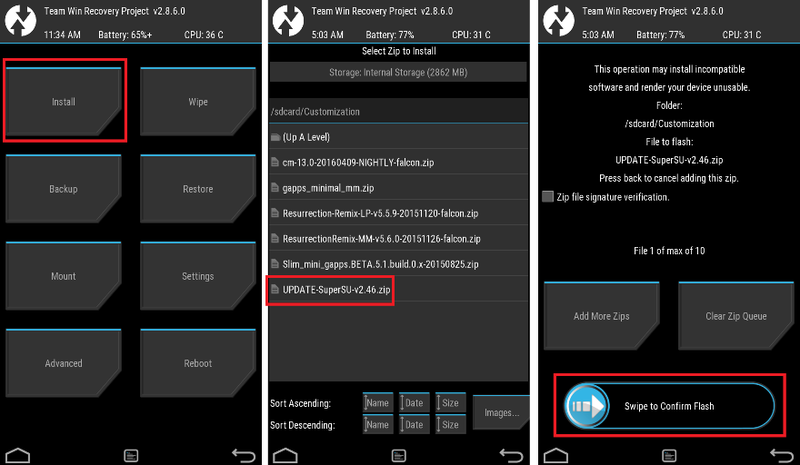 You can SKIP to install the TWRP directly. If you don’t have a scatter file for the Umidigi S3 Pro then you need to create it by yourself by following the below steps. This guide needs the Droid MTK Tool. 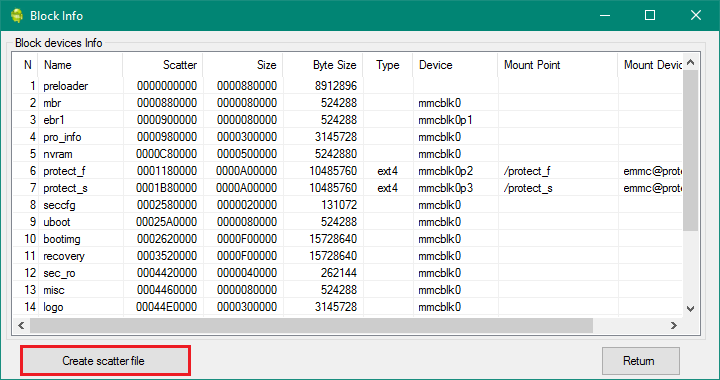 With the help of Droid MTK Tool we will create the scatter file for Umidigi S3 Pro. Enable USB Debugging under Developer Options on the Umidigi S3 Pro; to make the device accessible via ADB. On the next screen you have all the partition information and starting address of all the partitions of Umidigi S3 Pro. – Click on the button to create scatter file for Umidigi S3 Pro. Save the scatter file for Umidigi S3 Pro in a location which you can remember and access easily. Make sure you have downloaded the SP Flash tool and created the scatter file for Umidigi S3 Pro. Follow the below steps to install the TWRP on Umidigi S3 Pro using the scatter file. Click browse on the the scatter-loading file section and select the Umidigi S3 Pro scatter file you created earlier using the MTKDroid Tool. 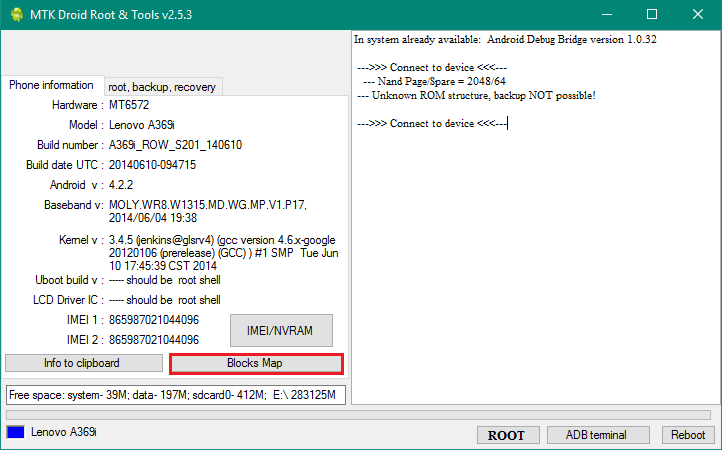 Now select the location next to the Recovery partition and select the TWRP for Umidigi S3 Pro, which is in .img format. Then click on the Download button to start downloading/flashing of the TWRP recovery on Umidigi S3 Pro as shown in the picture. When the TWRP is downloaded to Umidigi S3 Pro, the SP Flash tool will alert you saying Download is done. Well, this isn’t it. You can install customized themes, sound mods, Xposed modules etc. after installing the TWRP for Umidigi S3 Pro. Now, if you want to ROOT Umidigi S3 Pro then below is a step-by-step by guide for the same. ROOTING Umidigi S3 Pro MAY BRICK THE PHONE. 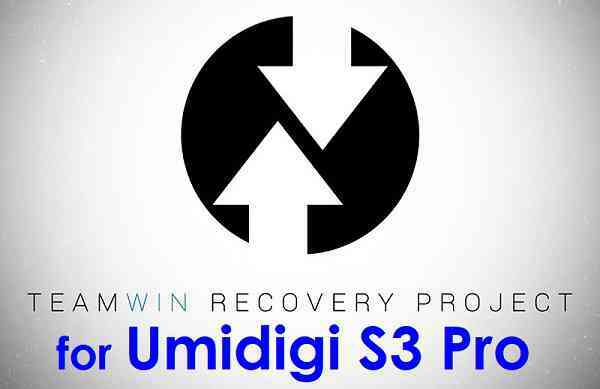 Restart the Umidigi S3 Pro to boot into TWRP recovery. Flash or install the SuperSU or Magisk for Umidigi S3 Pro, by Sliding the Swipe to Confirm Flash on TWRP screen. Profit!!! You should now have a Umidigi S3 Pro ROOT enabled phone. How to check if ROOT is enabled on Umidigi S3 Pro or NOT? If you face any problems on this guide to install TWRP for Umidigi S3 Pro then, you can login and reply here. Either me or some other user on this forum will revert back to your query as soon as possible. Stay tuned or Subscribe to the Umidigi S3 Pro forum For other Android Custom ROMs, LineageOS ROMs, and all other device specific topics.